I had a fabulous Easter, and I hope you did too! My heart filled with joy as I worshipped with so many of you, your family, and friends. Last Sunday's worship also reminded me of how blessed I am to work with such talented people. Shandon organizes, manages, and troubleshoots things seen and unseen to create a sense of warmth and welcome in an often-chaotic environment. Eric weaves together graphic arts, music, light, and a host of individual people with unique gifts and skills into a cohesive whole that is beautiful in its own right and that also transports me beyond it into the presence of God. Julie connects the words of scripture to daily life in ways that consistently give me new insights, and she doesn't miss a beat when I ask things like, "What if we preached the Easter sermon together?" Our Access Easter celebration did lack one thing, however: a Hunky Jesus. Each year in Golden Gate Park, San Francisco, a group hosts the Hunky Jesus contest. It's pretty much what the name suggests. I laughed when I first learned of it (in that it's-kind-of-funny-but-also-kind-of-disturbing way), but theologically Hunky Jesus misses something important, and that's why our Access Easter celebration lacked one. Hunky Jesus is a bit like the empty tomb without the cross. By itself the empty tomb is quite attractive. It represents life triumphing over death, second chances, new beginnings, and the defeat of evil by good. But the cross tempers the attractiveness of the empty tomb with pain, sacrifice, and death. When it comes to the actual Jesus, the empty tomb and the cross are part of the same revelation of God's power. Jesus defeats death not to make himself more attractive to his followers but to encourage us to follow his example of choosing pain and self-sacrifice for the sake of others. The empty tomb shows us that these few years on earth are just a prelude to eternity, so we don't need to pursue popularity, wealth, security or anything else to make these years the most attractive they can be. 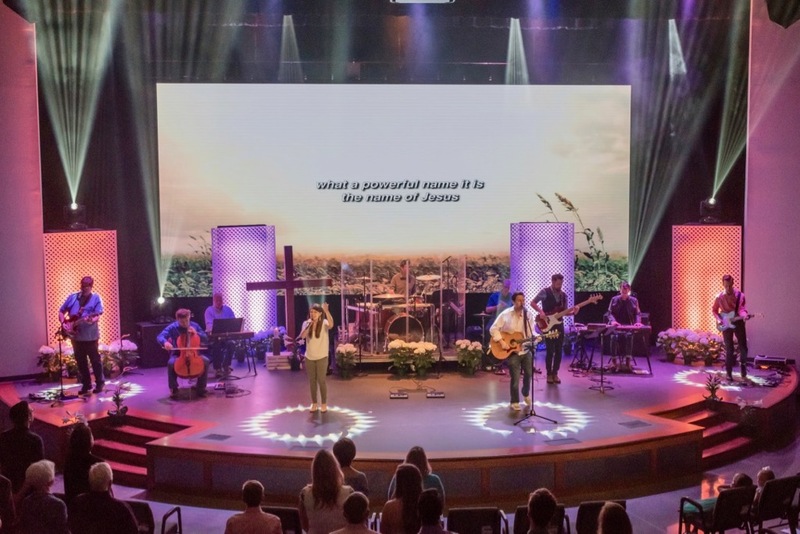 Worshipping the Jesus of both the empty tomb and the cross means allowing the resurrecting power of God's Spirit to energize us, give us hope, and to set us free to humble ourselves and to serve others. I hope you'll worship with us at Access this Sunday at 11:00. We're kicking off a new series of sermons about healthy conflict called "Lighting the Fuse." We'll find the same Easter dynamic of power and humility at play as we explore tips and spiritual insights for making something positive from conflict with others.